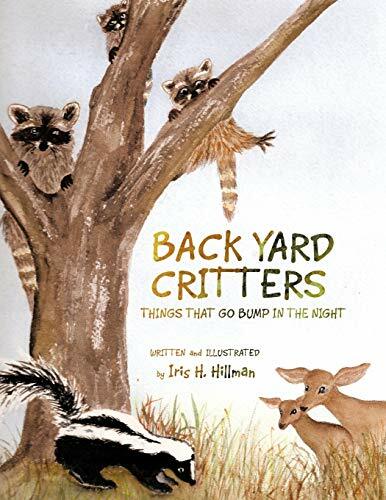 BACKYARD CRITTERS: THINGS THAT GO BUMP IN THE NIGHT, is the story of nocturnal birds and animals who prowl quiet neighborhoods after people retire for the evening. These critters cause disruption and damage as they invade garbage cans, dig up lawns and climb trees in search of food. However their resourceful nature and clever wits are to be admired as they survive in our suburbs, reminding us that we must share our bounty so they can continue to be a part of our environment.